In the final chapter of Deuteronomy – we see the end of the life of Moses. This man – who started out as the son of a Hebrew slave, redeemed as a prince of Egypt, hunted as a murderer and fleeing into the life of a nomadic shepherd – obeys the call of the Lord to return to Egypt and lead this motley crew of slaves into a full-fledged nation of God’s people. As we have read, we have seen Moses stand mighty against seemingly impossible odds, but also we have watched him struggle with his own limitations, doubts and flesh. In the end, it was these moments of doubt and flesh which cost Moses the opportunity to enter the very land which he had been speaking of all those years. God did allow him to view it upon Mt. Nebo – and it was there that Moses died (with only the Lord Himself attending to his funeral!). But – as we read, did you notice the interesting tidbits about this amazing Prophet? Even at the ripe age of 120 years “his eyes did not dim nor his natural force abated” (Deut 34:7). As well, whoever wrote the closing remarks to this great man’s life, inserted that “And there arose not a prophet since in Israel like Moses, whom the Lord knew face to face.” (Deut 34:10). That is how I want to be remembered… as a man whom the Lord knew face to face. With the closing of the book of Deuteronomy – along with the closing of Moses’ life – we also reach the end of what is referred to as the Torah. As you may recall, the word “Torah” means “teaching” or “Law”. In one sense it refers to the opening five books of the Bible – Genesis through Deuteronomy – all written by Moses. To the Jewish people it is not simply a list of rules and regulations, nor simply a narrative of the journey of their heritage. More so, they view these first five books as the very cornerstone of their lives. Every Jewish child would have these books memorized by the time they reach middle school age. (That means ALL that we have been reading since the top of the year!). As we close out the Torah – what stands out to you? Maybe you (as many others have noted throughout history) struggle to understand the harsh method God uses in training up His people. This struggle comes mainly because we have such little information about what else is happening during this time. After all, the Bible does’nt record many of the historical and political happenings in the other nations (such as Egypt) that existed during that time. The reason this is so is because the purpose of the Bible is to speak of God’s relationship with man. When we read through the various laws and rules of the Torah, it can strike us as unfair and harsh. Countless details which, if not followed to the letter, result in sometimes deadly punishment. While we have already spoken of the larger picture and how sometimes things that appear harsh to us are actually actions of love from an all-knowing God, there is another part to this puzzle we must briefly touch on. Paul tells us in Romans that for the first 2000 years (from Adam to Moses), God did not hold man accountable for their sin. For many, it is shocking to hear that 2000 years actually passed during that time. (The book of Genesis alone encompasses 1500 years of human history). But just as shocking is to hear that God was acting in mercy all of that time. Sin was overlooked time and again. (Not always – as we see with Noah and Sodom/Gomorrah) – but most of the penalty for sin was not administered during that time. During that time God was longing for mankind to see the devastating effects of the broken condition and come to Him – allowing Him to bring Jesus and repair the breach. God eventually finds Abram (who believes Him) – and begins to build a people – but eventually even those turn from Him and allow sin to destroy the earth. By the time God raises up Moses, the earth was in complete chaos. Sin had done it’s dirty work and satan was using men to destroy themselves. Sin was easily overlooked and explained away on every level – while God was completely ignored. It was, therefore, necessary for God to establish strict guidelines for what sin is and literally persuade His people to return back into some form of holiness in order for Jesus to one day be born. So, while the Law can appear harsh and overly strict – the bigger picture (once again) tells us the whole story. God’s heart has always been love and mercy, but the ravaging effects of sin on His beloved creation necessitated all that we have read about thus far. As the Torah closes – we now enter what is known as the History Books. Joshua will take over leadership of this young nation, wars will be fought, God will continue to intervene in the lives of the Israelites… and yet many will continue to reject Him. As we near the end of the Torah (and Moses’ life) – we see something very interesting declared in Deut 27. The Israelites are divided up into 2 camps, and they are given some detailed instructions for when they finally enter this long-promised land that God has given to them. Half of the nation is instructed to climb to the top of Mount Gerizim – and the other half is to climb Mount Ebal. 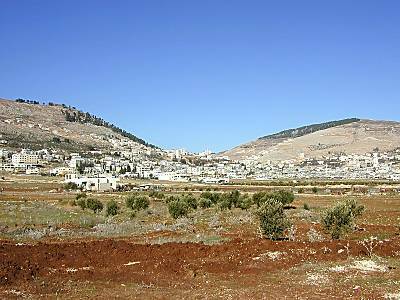 Those tribes on Mount Gerizim are to pronounce the Blessing – and those tribes on Mount Ebal shall pronounce the Curse. Well remember, everything that God is writing in the Law is meant to make clear the way of life which He set into motion in the garden. Mankind has yet to fully walk in that way – and so God is forced to provide a detailed description of what this life looks like. It is God’s full intention to create this group of ex-slaves into a nation which serves Him and lives the way He created life to be lived. This nation is right on the doorstep of their permanent home (after 40 years of wandering due to their disobedience). So God is taking another opportunity to give them a picture of the choices that lay before them. So He splits the nation in two – has half of them pronounce choice #1 on Mount Gerizim – and the other half pronounce choice #2 on Mount Ebal. (The Levites stand in the middle and read a summary of these choices). The main thing we can take from this is that the Blessing and the Curse are both already here. God is NOT sitting with a bag of gold in one hand and a club in another – waiting for the people to either make a mistake or deserve a blessing. The Blessing and the Curse are already on the earth due to the disobedience in the garden. It is by their choices that the Israelites will release one of the other upon their lives and their new home. In Chapter 28 God then gives even more details about what these two lifestyles include. Notice He says “If you do such and such… then this will happen to you…” (Duet 28:1). God is telling them that if they make the follow choices in their daily lives – then it will unleash the following reactions into their lives. It isn’t that they have some supernatural power to create these things – just that their decisions will open up what is already there. 14 verses on Blessing… 53 verses on Curses… anyone want to guess which one God is trying to steer them away from? After these instructions about the two mountains – they are reminded of what they have been through these 40 years. “I have led you forty years in the wilderness; your clothes have not worn out upon you, and your sandals have not worn off your feet. “ – Deut 29:5. What a beautiful picture of God’s heart to bless and take care of His people! Even in the midst of their disobedience, He traveled through the dry desert right along with them – feeding them, and ensuring they had all that they needed (even causing their clothing and shoes to not wear out!). Over and over – during these first 5 books – we see this heart of God come out. How anyone can see the Lord as anything BUT a caring loving parent who desires good things for His children is totally beyond me. As we wrap up the book of Deuteronomy (and the Law as a whole) – we prepare to enter a very interesting portion of the Israelites story – the History books. (If you like war and drama… this is the part for you!). As we have done several times already – it is encouraging to find the thread of Jesus interwoven throughout the Old Testament scriptures. In Deuteronomy 18 we, once again, see a prophetic word spoken which, not only is meant for the individual people/nation being addressed at that present time – but also an encouraging word for all of mankind… on down to our own day. This amazing announcement from Moses comes right on the heels of a warning to the Israelites. This warning is for them not to gain their understanding and direction from soothsayers, charmers, those who use divination, or any other sort of ‘magic’ (which is fed by evil). Moses explains that the people who currently possess Canaan have been in the habit of practicing these sort of things – and that is why they are being displaced. The Lord is setting up this nation of people to be different from those around them… and this includes how they are led in everyday decisions. After this warning… the Lord (through Moses) tells the people He will be sending them a Prophet – who will speak to them in the same manner Moses has… giving them direction, speaking on the Lord’s behalf, revealing the Word of the Lord to them. Who is this “Prophet” to whom Moses is referring? This is a perfect example in Scripture for what is known as the Law of Double Reference. We see this over and over again throughout the Bible – a passage is saying two things at the same time. In this situation, I believe the “Prophet” spoken of is not only referring to all of the prophets who will begin to come to Israel over the following generations to direct them back toward Yahweh… but also it is referring to Jesus – who will come as the ultimate Prophet – to guide Israel back to the Father as a Shepherd guides His sheep. Listen how the Prophet is described in Chapter 18; “one of thy brethren”, “just like Moses”, “God’s words in his mouth”, “he will speak all that I command him”. This clearly is speaking of the line of prophets who will come to Israel and speak the oracles of the Lord. These prophets came from the Israelite people – and were rejected by the nation – and their words are recorded in the Prophetic section of the Old Testament. But, there is also a deeper meaning to this passage – of which is of vital importance to us today. It is Peter, during his famous sermon on the Day of Pentecost, who first connects Jesus to this “Prophet” spoken of by Moses. Stephen also makes the same connection just prior to being stoned to death by an angry mob in Acts 7. This is just another example of the majestic love God has for us. Way back at the start of human history – as we struggled to follow His way of life – God had a plan to make a way for us. Even as we rejected Him – scoffed at the prophets whom He sent to warn us – God still kept that plan in motion. Knowing all along that we would ignore the Ultimate Prophet – (and even kill Him) – “God still demonstrated His great love for us, that even while we were yet sinners, Christ died for us” (Romans 5:8). Jesus operated in the three main offices; Prophet, Priest, and King. As we read through the Word of God together – try to keep your eyes open for other places where the coming Redeemer is mentioned. When you find them – reflect on how great God’s love really is. God had a specific plan in mind when He created the world. His plan was much different from what we currently are living in. Much of what the world blames on God is actually the results of disobedience and the creation living life apart from it’s Creator. From chapters 12-26 of Deuteronomy, Moses gives the Israelites some practical examples of the “God-life”. With his days becoming short – Moses seeks to instill as much Truth and details of this life as he can, in order to prepare the Israelites for their future life in the Promise Land. It is difficult to read through this section and not wonder what our lives would be like today had God’s people obeyed Him from the start and allowed Him to replenish the earth the way He originally intended. One perfect example of this is the poor. In Deut 15 – God gives Moses details for His people to follow regarding debt and lending money and the poor. He says in 15:4 – “But there will be no poor among you, for the Lord will surely bless you in the land which the Lord your God gives you for an inheritance to possess,”. What a great promise this is… no poor among you! BUT – notice what He says in the very next verse, “If only you carefully listen to the voice of the Lord your God, to do watchfully all these commandments which I command you this day.” – Deut 15:5 AMP. We have seen God operate on this level since we started in Genesis 1 – God has a great plan for life, yet it requires obeying what He says to do. Here, God tells the Israelites how to NOT have poor people in their midst. He then goes into detail about what He calls a “year of release”. 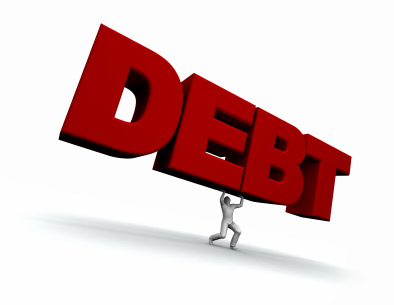 Every seventh year the people are to cancel debts and wipe clean any bills owed. The big picture in this is that no one will live in life-long debt… getting deeper and deeper until there is no way out. God knows that this is a terrible and hopeless way to live – so He sets in motion a system which will prevent this trap from forming in the first place! Unfortunately – God’s people do not obey Him… and today God is blamed for poverty? Next God deals with slavery. Slavery was a major issue even back then. The nations which currently inhabited the land of Canaan were living in systems of slavery. The Israelites themselves had previously been rescued out of slavery! God understands that life-long slavery would not only kill the hearts of His people, but eventually drive a wedge between them. His plan is that they work together – helping each other out – becoming prosperous and blessed as a whole nation. In order for that to happen, God created a system where someone could work for another in a limited fashion (to pay off debt) – but in the seventh year of release every hired hand must go free. (Not only free… but sent with a blessing!). Unfortunately – as before – God’s people did not obey Him in this… and today God is blamed for slavery? The reality of the situation is that if God’s people had obeyed Him from the start, we would be living in a much different world today. The problems we are dealing with in our culture today are a direct result of choosing our own way apart from the Lords. He has given us exact parameters on how to live life in the most fulfilling way He created it, yet we ignore Him for a more destructive path. So how do we live under the blessing He prescribed from day one? We begin by obeying Him. Even in this chapter He tells us to not forget the poor – “You shall give to him freely without begrudging it; because of this the Lord will bless you in all your work and in all you undertake.“ – Deut 15:10 God’s ways haven’t changed – nor has the blessing diminished. If God’s people (us) would humble themselves and return to what He said to do from the beginning, then we would see big changes in not only our own lives, but in the lives of those around us! Reading on through Deuteronomy – are you starting to hear Moses’ heart as he speaks? It is very clear that he has grown to love these people with whom he has led the past 40 years. He has contended for them – pleaded with them – bargained for them – and even stood on their behalf before the Almighty to seek their forgiveness. Moses has demonstrated a true love for them… even losing out on seeing the Promise Land himself due to their causing him frustration. As his time grows shorter, we see Moses getting more and more urgent about the future that lies before these people. Over and over again he implores them to stick with what he has taught them over these past few years. If they will do that then their future lives will be tremendous! But, if they turn and follow the practices of the cultures they are entering, then they will experience the heartache that comes with those choices. Notice in the above passage, how Moses reminds them of the huge differences between the life in Egypt which they left behind, and the life in Canaan that is placed before them? Among many things, in Egypt their provision came from their own laborious work (which really did very little for them and much for the evil Pharaoh). But, in Canaan their provision will come from the Lord – and HE will ensure that they have all that they need and want. He will water the ground with rain and care for it personally. As a Pastor, I can relate to Moses here. Most of my time is spent reminding God’s people that they have left Egypt behind. The life being offered to them is not like the life they used to live… but instead God will meet all of their needs. They will enjoy the bountiful fruit of this life PROVIDED they obey Him and His way of living in all situations. By making their choices based on the solid foundation of His Word, they will place themselves under the blessing of the life in Canaan (as opposed to the stark slavery of Egypt and the dry wandering in the desert). How do you obey Him? Well, thanks to Jesus we now have His Spirit living within us. His Holy Spirit gives us the power to live a godly life (2 Peter 1:3). His Holy Spirit guides us into all Truth (John 16:13) and leads us through the valley of the shadow of death (Psalm 23). Our part is to accept that work – receive His Spirit – and then walk in that power His Spirit places within us. Accept the work by opening up your heart and giving Jesus permission to take charge (Rev 3:20). Surrender your own will to His and allow Him to fill you and lead you (Rom 12:2). Receive His Spirit by agreeing with the Word that the outpouring of the Holy Spirit in Acts 2 is for you as well. Give up the need to be in control and grant Him complete access to your life. Expect the power of the Holy Spirit and the prayer language of tongues (2 Cor 14:2-4) to flow through you – praying beyond your own ability to express (Rom 8:26-27). Walk in that power by learning to live a life of faith (Rom 1:17). Trust in Him in all things – spend time daily in His powerful word – and connect with a fellowship of believers who will help you grow in your new life with Jesus (Heb 10:25). In Deuteronomy chapter 6 we are introduced to one of the most central portions of Scripture to the Jewish people. Moses is in the process of reminding the people of what God has been teaching them these past 40 years, as well as encouraging them as they prepare to enter the Promise Land (without Moses)… imploring them to obey God in all things. In Deut 6:4-7 we see what will become known as “The Shema”. This would become (and continues to stand today) as the key important passage of the entire Bible to the Jews. 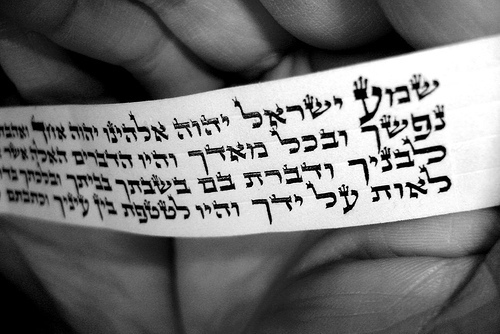 The Shema is aptly named after it’s first word, “Hear!”. It basically means “Listen up, Israel!”. It then goes on to command us to love God with all of our heart (desires, dreams) – with all of our soul (emotions, personality) – and with all of our strength (might, ability). After which – God instructs them to make this (and the rest of the commandments) centered upon their entire lives. Involve them in every area in which you live – teach them to your children – talk about them – make them important. By the time Jesus came – the Jews had developed these commandments literally into their daily lives. They organized their day around the reciting of the Shema. They wore copies of this passage in little boxes on their foreheads and arms… as well as attaching a copy to the doorposts of their houses (as this passage goes on to teach). To the Jews – the Shema represented all of life! They would recite this passage every morning and every night. The first thing they did before they started their day was recite the Shema – and the last thing they did before ending their day was recite the Shema. (This reminded them to love God with everything that had). The big question through the ages was – how do you do this? How does one go about loving God with all of your heart – soul– strength? What does that look like in action? How would you know if you loved God that much? How could you measure that? Notice Jesus links another passage along with the infamous Shema. Jesus pulls a part of Leviticus 19 into the conversation. He does this on purpose! Jesus isn’t just pulling scriptures out to wow the crowd – He is teaching them a huge point here. He is answering the big question of their day (and ours as well if we are honest). How does one love God with all of their heart – soul – strength? According to Jesus – you love your neighbor as yourself. THAT is the love of God in action! You cannot separate those two commandments. You cannot love God without loving your neighbor as yourself! You cannot love your neighbor with the love of God in your heart! Wrapping up the book of Numbers – we see some final instructions from God for His people as they make last minute plans to enter the Promise Land. The fighting men are counted – as well, future plans are made for the dividing up of the land according to tribes. Along with all of that – we have seen the death of Aaron – and the upcoming death of Moses himself. Because of his disobedience to God (by striking the rock instead of simply speaking to it as God had said) – Moses has been told he will not be permitted to enter the Promised Land either… but will die on the mountain. 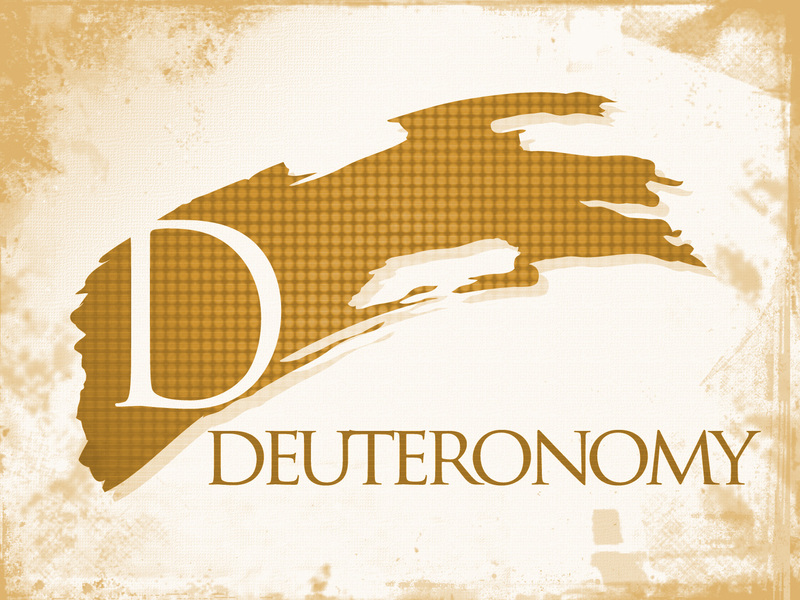 Next up comes one of my favorite books – Deuteronomy. The name in Hebrew means “Words” – but in English it is based on a mistranslation into a Greek word that means “second law”. The point is still the same… the book is basically a rehashing of the journey of the Israelites in Exodus and Numbers – along with a synopsis of the law given in Leviticus. 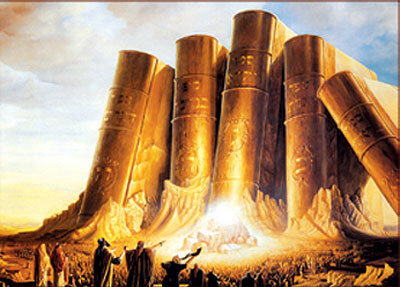 Deuteronomy is a collection of 3 sermons given by Moses on the final day of his life. 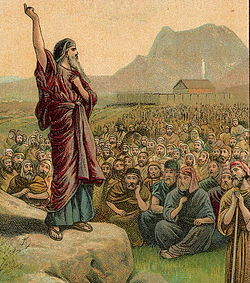 Moses has been told by God that he will not be traveling with the Israelites across the Jordan into the Promised Land. Instead – Moses will die and Joshua will lead them. (Moses even attempts to reason with God about this in the opening chapters of this book… but to no avail). Therefore – Moses is taking every step he can to ensure these people remember the commands of the Lord and obey Him without Moses to guide them. What I like about this book is that there are two major sections which hold great importance. The first is found in chapter 6 – referred to as the Shema. This is a very important section of scripture to the Jewish people – and we will discuss it’s significance in the next couple of days. The other major part of this book is found in the 28th chapter. It is here that we are given detailed analysis of both the Blessing and the Curse… which provide a foundation for much of the Word of God that follows. Deuteronomy is the final book in the Torah – the foundational teaching for all Jewish people. As you read it – imagine yourself sitting with all of the other Israelites, listening to Moses explain this law and encouraging you to continue to obey God in your future journey and eventual conquest of the Promise Land!